Suzuki Motorcycle India Private Limited (SMIPL) has finally given the Access 125 scooter a facelift. The new Access has a new Steel Fender, which increases both visuals and sturdiness of the scooter. To increase it's style quotient, it gets a stylish aluminum grab bar, which also supports the pillon rider. The new 125 sports a new 3D “Access” emblem and ‘S’ logo. It is now available in two new colours -- Metallic Matte and Fibroin Grey. The Access comes with tubeless tyres, which can easily be repaired. It is hassle free from recurring battery checks as it comes with a Maintenance Free Battery. 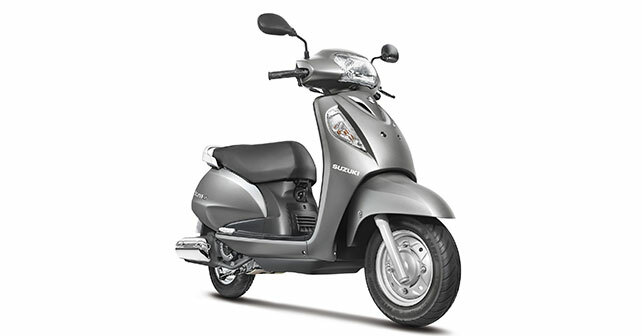 For better stability, the 125 is equipped with telescopic front fork suspension, which helps the scooter tackle bad road conditions at ease. This automatic scooter is powered by the same powerful 125cc air-cooled, 4-stroke engine, and is priced at Rs 53,223 (on-road New Delhi).